Hello! I am still alive, you can breathe a huge sigh of relief. Life caught up with me, so I do in fact have a long list of blog posts I'd like to make on various topics, some of which are looooong overdue. Like this one. As part of my interest in the journeys that our possessions take from the extraction or production of the raw materials through to the disposal of the used product, I am just a little bit interested in craft. 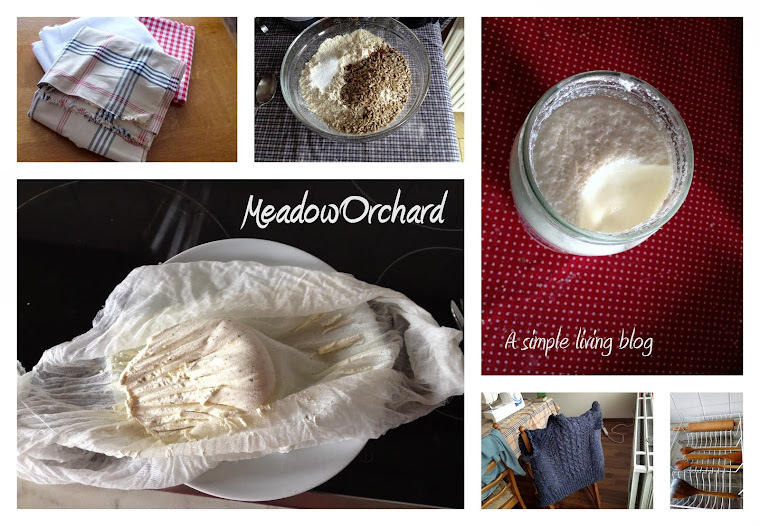 I work with wool, and I am interested in all of the stages of the process from fleece to jumper. 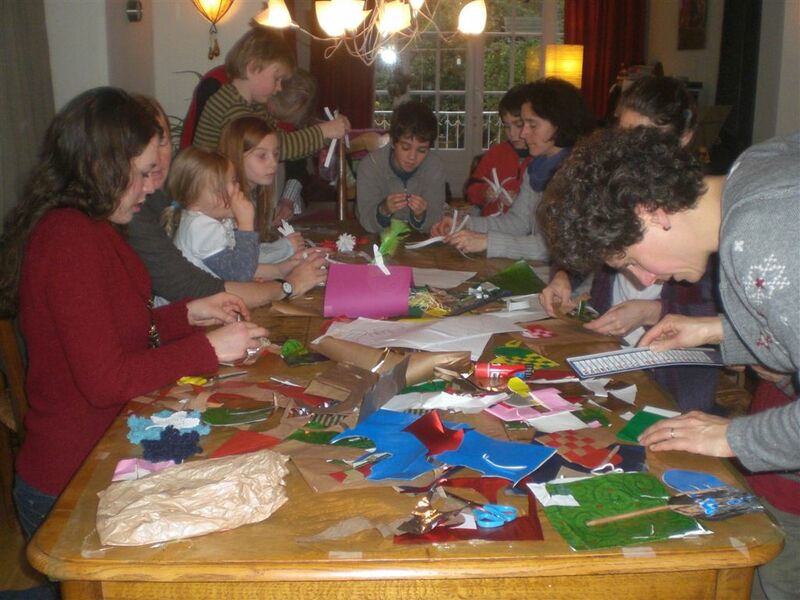 When I started working with Sunbeams, a Brussels-based charity promoting ecological issues in the English-speaking expatriate community here, I mentioned my interest in craft, and eventually we organised a Christmas Craft workshop. It was a really good fun afternoon. There were several different activities going on, and the group of children moved naturally and easily from one to another as each was completed. Most of these involved using items that would normally end up in the bin - the insides of toilet paper rolls, scrap paper, and especially Christmas wrapping paper. My own contribution was introducing them to crochet, making creations vaguely resembling snowflakes. I did find that teaching crochet to that age group was rather tricky, as you can't do any of the fun stuff, but that's just something I need to work on. I really enjoyed learning to make, for example, plaited heart-shaped bags to hang from the tree, using old wrapping paper. And I loved sharing my passion with a group of little people, who were all really proud of their creations. I think what made the craft afternoon so successful was that there was a range of different activities, so that the pressure didn't fall on any single person to keep people interested for the whole afternoon, and that it had a fairly specific focus. The range of activities also meant that people could arrive and leave whenever suited them, and do as many or as few projects as they wanted to, as quickly or as thoroughly as they liked. I have attempted to get a craft workshop focused on crochet up and running, but I think the brief has been too vague and I haven't reached my target audience very effectively. Looking back at the success of this workshop, I think it would be advisable to choose a specific brief and bring together people interested in different crafts for a similar afternoon. Hmmm... It's a shame I missed the boat for Easter, but perhaps a Midsummer festival theme would work. Feel free to contribute suggestions.